Beyond the Shoah is a narrative project as where young Jewish leaders and activists speak about their personal stories. 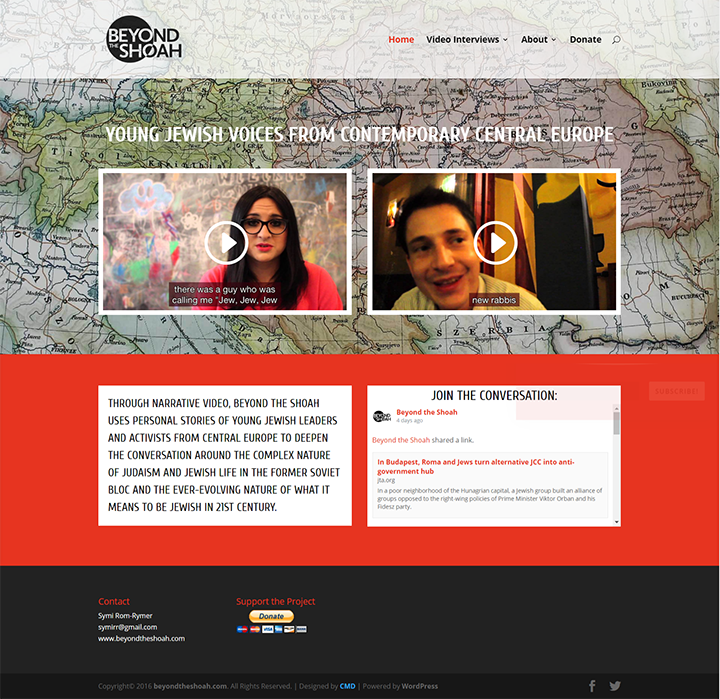 Symi approached me to redesign the Beyond the Shoah website. She wanted it to have a more modern appeal and which would bring in more viewers who can relate to these leaders and activists, and to tell their stories to the public.